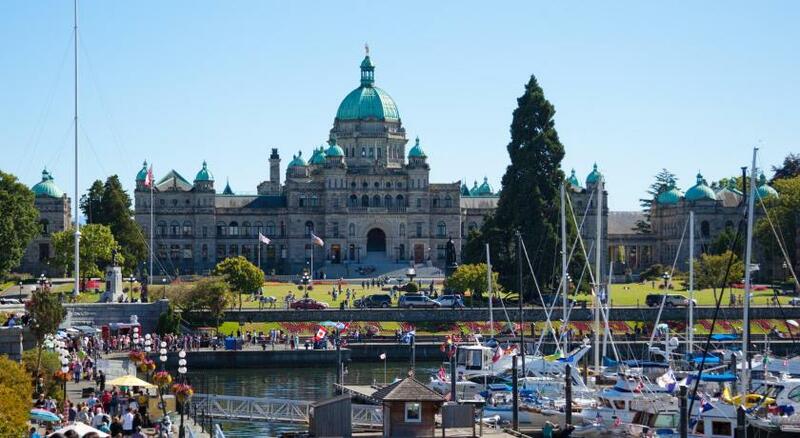 Lock in a great price for Victoria Regent Waterfront Hotel & Suites – rated 9.1 by recent guests! Almost everything is always good here. quiet, location, friendliness, communication. Breakfast was delicious---view, food etc Lots of ambiance in the hotel. Well done and waterside rooms have spectacular view of Seattle. Absolutely everything. While I expected it to be nice, this hotel was one of the best we have had the pleasure of staying. The staff, location, room, comfortable bed, the size of our room!!!! Excellent!!! Loved the location- couldn’t be better. Room was clean and very comfortable. Liked the ice in the ice bucket in the evening- nice touch. Lots of material available on Victoria in the business center. Great staff. My elderly mother tripped and fell. They assisted with ice and a first aid kit. The staff were wonderful and friendly. They seemed to really enjoy their jobs and were helpful. The location is great for Victoria, kind of right on the edge of the middle of everything to do, which makes it a good place for walking to and from. The hotel is clean and quiet, though if you have a city view room, expect some road noise (they have ear plugs in the room). The breakfast provided daily is good and the room it's served in has a great harbor view. The bed and pillows are comfortable and there was a nice private balcony (though we were there in snow, so didn't use it). You can walk to the most popular pubs within minutes and the restaurant selection is very good. Restaurant and desk staff were pleasant and helpful. I was allowed to leave my bags before and/or after check-in and use the small "business center" which was helpful. It was raining hard and I didn't want to walk around town as much as I waited for the Coho ferry sailing after checking out. I loved everything about the Victoria Regent Waterfront Hotel. I stayed in a waterfront 2 bedroom suite and it was fabulous. Great views, huge windows and patio. Linens and bathroom items were very nice. Breakfast was convenient and satisfying for a non order breakfast. Hotel staff was very friendly and accommodating. I am not a big breakfast person, like my husband is. He would go have breakfast every morning. and bring me a toasted bagel and a cup of coffee, the only issue I had was they did not have my creamer. I will bring my own creamer, if we stay there. Victoria Regent Waterfront Hotel & Suites This rating is a reflection of how the property compares to the industry standard when it comes to price, facilities and services available. It's based on a self-evaluation by the property. Use this rating to help choose your stay! One of our top picks in Victoria.Overlooking Victoria's inner harbor and Parliament buildings, this hotel features a restaurant and on-site spa services. A balcony or patio is offered in each room. 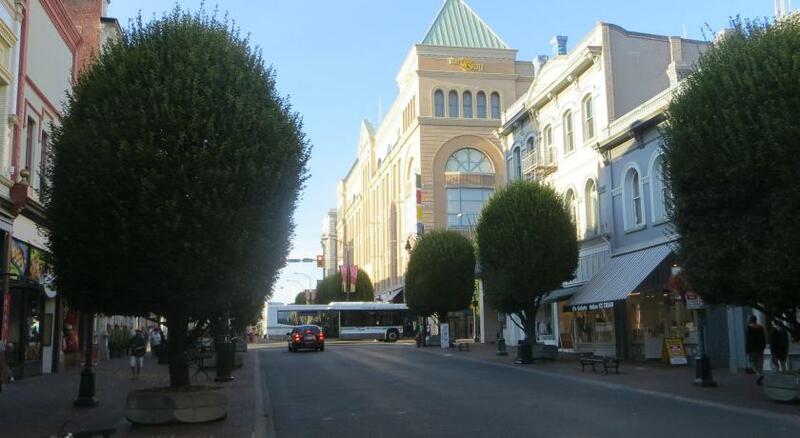 The Bay Center is 4 minutes’ walk away. Free WiFi is available. A flat-screen TV is provided in each guest room at Victoria Regent Waterfront Hotel & Suites. A mini refrigerator and a coffee maker are included. Select rooms offer full kitchen facilities. The Water’s Edge Café is open daily and features scrambled eggs and sausage, an assortment of muffins, bagels and breads, waffles, fruit salad, cereals, yogurt, chilled fruit juices, milk, coffee and tea. Gluten free options are available upon request. Guests can also enjoy in-room spa treatments. The concierge at Regent Victoria Waterfront Hotel can help guests arrange dinner reservations, theater tickets, and more. Free parking is provided. Prince of Whales whale-watching company is located just 5 minutes’ walk away. The Maritime Museum of British Columbia is 450 feet from Victoria Regent Waterfront Hotel & Suites. When would you like to stay at Victoria Regent Waterfront Hotel & Suites? 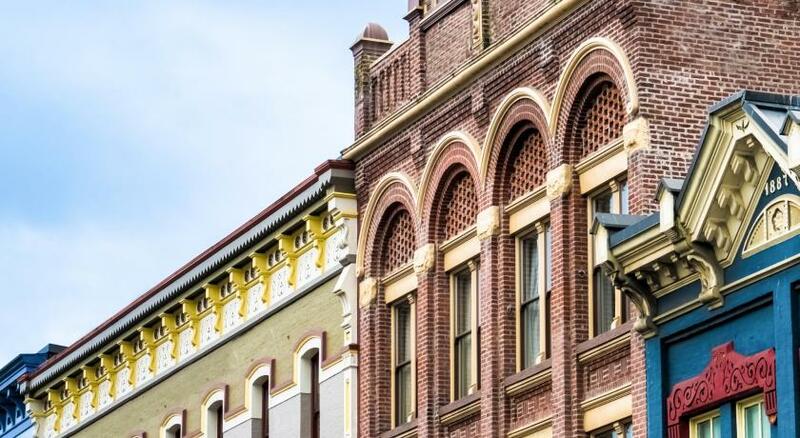 This room offers a private balcony overlooking Victoria's skyline and historic old town. A cable TV, mini-bar and coffee maker are provided. A 4-piece bathroom is included. Please note: Children are not allowed only in this room type. This suite features a balcony, a sofa bed in the living room, and a full kitchen. Partial views of the inner harbor and Victoria city center are enjoyed. This suite features a balcony, a sofa bed in the living room, and a full kitchen. Views of the inner harbor and Victoria city center are enjoyed. This suite features a separate living area, 2 bedrooms with a bathroom each, and a full kitchen. Views of the inner harbor are enjoyed. Please note, each bedroom in this suite has either 1 king or 2 queens and bed types will be granted based on availability. This suite features a balcony, a sofa bed in the living room, and a full kitchen. Views of the inner harbor are enjoyed. Please note, requests for specific bed types will be granted based on availability. House Rules Victoria Regent Waterfront Hotel & Suites takes special requests – add in the next step! Victoria Regent Waterfront Hotel &amp; Suites accepts these cards and reserves the right to temporarily hold an amount prior to arrival. Victoria Regent Waterfront Hotel & Suites accepts these cards and reserves the right to temporarily hold an amount prior to arrival. Please note: Children are not allowed only in King Room with City View. The rest of the rooms can accommodate children upon request. Please note: Requests for specific bed types will be granted when available; however, Victoria Regent Waterfront Hotel & Suites cannot guarantee availability. Please note: First night plus taxes will be charged 7 days prior to arrival and is refundable if canceled within 48 hours of arrival. Please note parking for 1 vehicle is included in each booking. Turn down service was great. Staff very friendly and helpful. Complimentary water bottles daily in our room. Weather notifications and umbrellas left for us. These new patio doors are a problem when the wind blows like it did on tuesday or wednesday. We were almost stuck out on the patio. It was like there was a vacuum inside the building preventing us from pulling the door out to start it moving open. You might consider a warning sign. The waste services truck emptying the adjoining buildings septic tank at 7am! The local youths smoking a bong in the park by the bridge just 50m from my window. Despite having a massive fully equipped kitchen I’m not sure where you could buy food supplies. There didn’t seem to be any supermarkets nearby. The apartment was huge! Very comfortable. Really well equipped. Ideal if you are staying a number of days. There’s several of the same charges on my card from the hotel- total of 900$. Waiting for them to drop off- but extremely annoying. Room could have had more seating. Hot and tasty choice for breakfast and good choice of yogurts, cereal, bagels, etc. A very pleasant and bright breakfast room with a very accommodating server. Great view over the harbor. A fantastic hotel perfectly placed with great rooms. Breakfast was great with a view of the harbour. Rough stone floors in bathroom. Looked great but not the easiest thing on bare feet. We need to wait for breakfast, and variety of food is limited. Great room , great location , looking forward to our next visit. Location in the marina and adjacent to downtown. Nothing at all. Would have loved to have stayed longer. Will return. We had an excellent view of the inner harbour. Our suite was very spacious and comfortable. We loved that they had comfortable chairs and table on the deck and we were able to sit out and enjoy the view. It felt very private. Free parking and provided breakfast were a bonus! Location was great - quite central to everything. We could easily walk to downtown activities as well as take advantage of the seawall walk. Staff were pleasant and helpful.